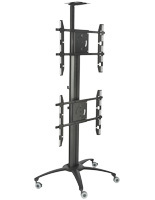 Fit your big screen perfectly with this 55 inch TV stand with mount selection! 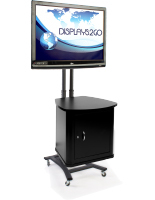 Need a console to roll around trade show or retail floors? 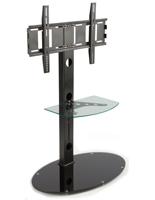 Want a stand for your living room with a bracket that tilts the screen downwards towards the couch? 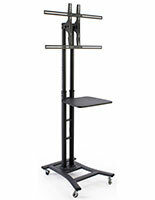 Looking for a conference room stand with a camera tray for those long video calls with corporate? 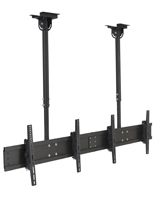 All of this is possible with these 55 inch TV stands with mounts! 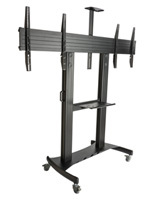 You only have to supply the flat screen! 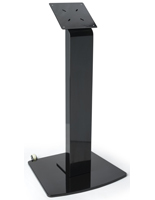 All of our 55” TV stands are made with only the highest quality and durability in mind. 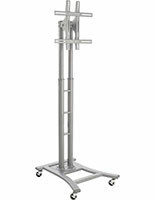 Models with strong steel and aluminum constructions are ideal for commercial or industrial use. 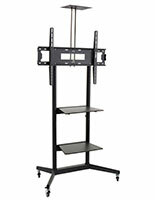 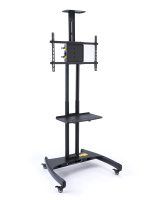 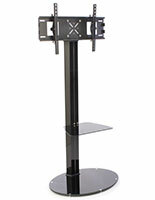 Many LCD/LED stands also include helpful features designed to make your life easier. 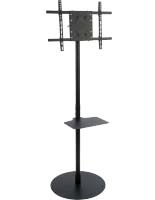 Our truss models, for example, are very popular with our trade show customers because they are incredibly easy to assemble and disassemble. 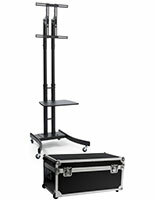 Plus, they come with their own carrying cases! 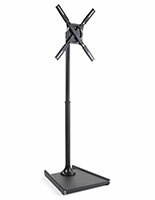 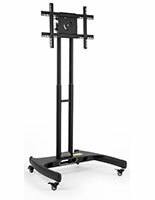 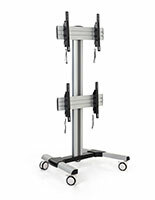 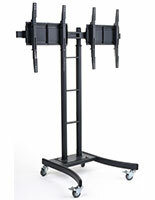 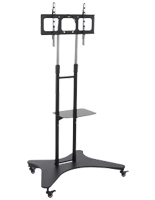 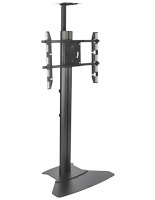 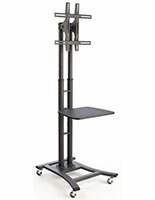 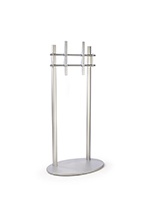 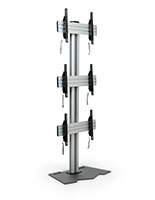 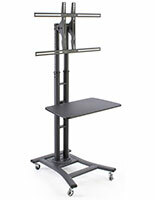 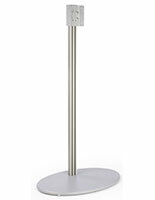 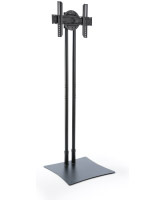 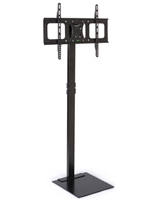 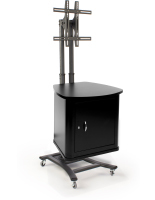 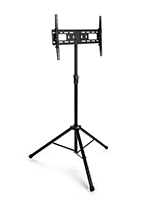 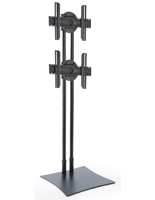 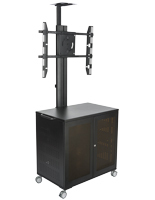 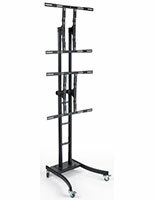 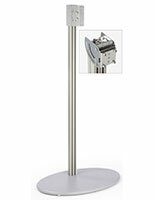 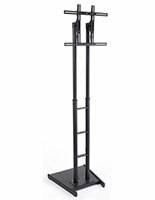 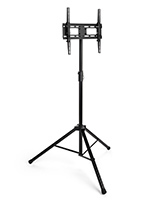 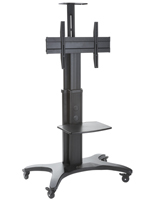 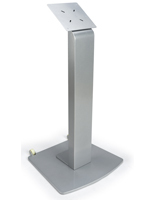 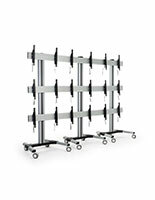 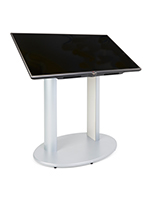 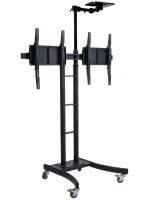 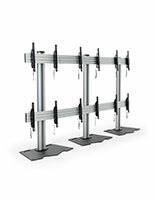 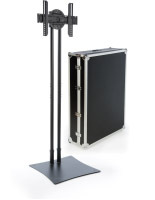 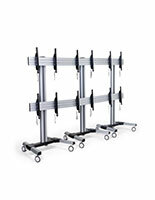 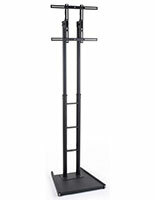 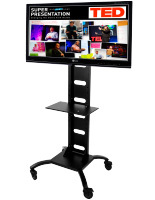 Likewise, our shorter, tilting stands with mounts are a common choice for business or hospital lobbies. 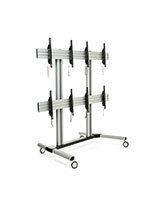 Customers choose to use them as building directories or maps in many cases. 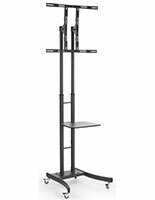 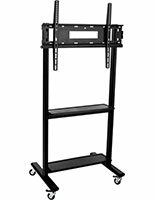 Because these stands all include a bracket designed to hold a 55” TV, you don’t have to worry about purchasing a new TV to fit your stand!